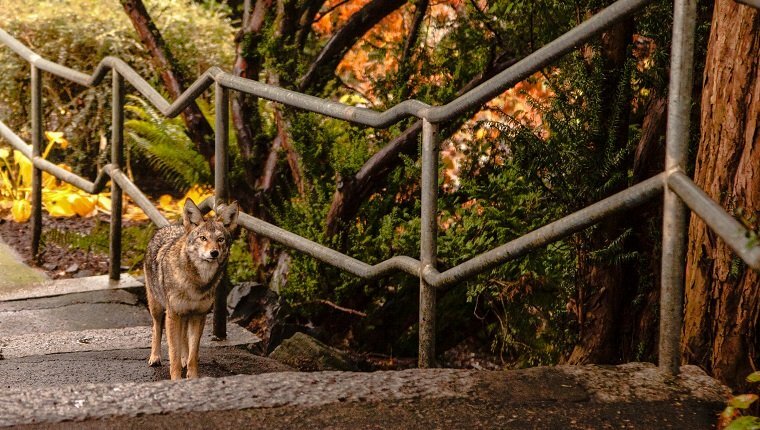 Going for a walk with your dog is a great way to experience nature, but wild animal encounters can make nature dangerous. It’s important to know how to avoid wild animal attacks while walking your dog and what to do if an attack is unavoidable. In general, making noise and putting bells on your dog’s collar can alert wild animals to your presence and reduce the risk of confrontation. Carrying a weapon or repellent like bear spray is another way to protect yourself and your dog from animal attacks. 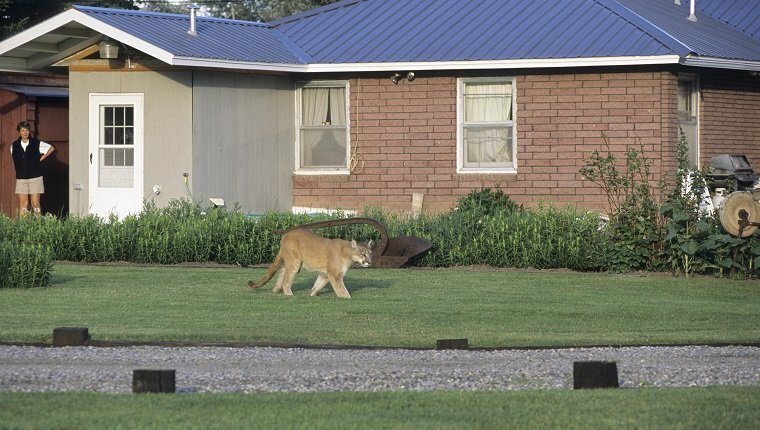 Your approach to a wild animal encounter will vary depending on which animal you come across. Here are a few animals you may encounter when walking your dog and how you should handle the situation. 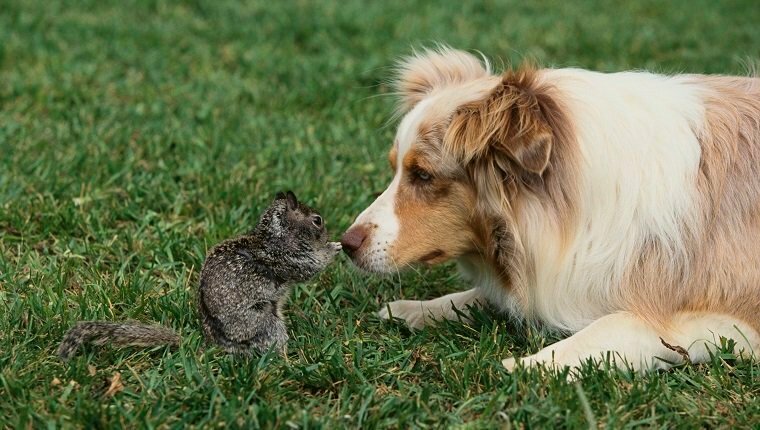 Smaller animals might not seem like a huge threat, but they can carry diseases and parasites that can seriously harm your dog. 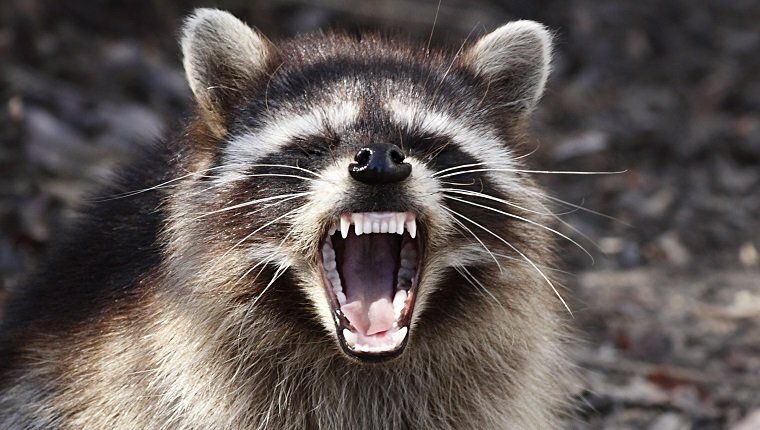 Raccoons in particular can be very nasty, and they will fight tooth and claw with dogs if they feel the need to. Many of these animals are nocturnal and will be more common during night time walks, though they can be active in the day time. These animals are unlikely to attack unless they feel cornered or are protecting their young. Floodlights or high-powered flashlights can be effective at scaring most nocturnal critters off. Loud noises and human voices also tend to frighten these animals. Keep your dog on leash, as many dogs have a prey drive and will attack, causing an animal to defend itself. 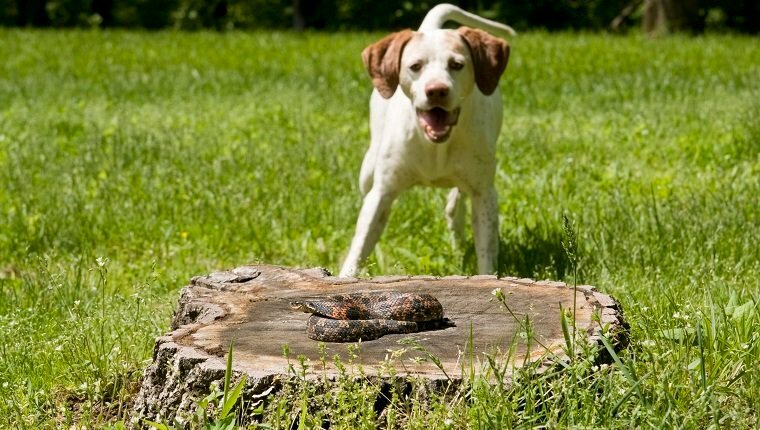 Throwing something like a rock or stick may also frighten small animals away. Be cautious, though. Make sure the animal has an avenue of escape or they will feel cornered and defend themselves aggressively. If your dog is attacked, use a stick, shovel, rake, or whatever object is on hand to put in between your pup and the animal to break it up. Take your dog to the vet right away to check for injuries and possible diseases or infections that may have been spread from the animal. 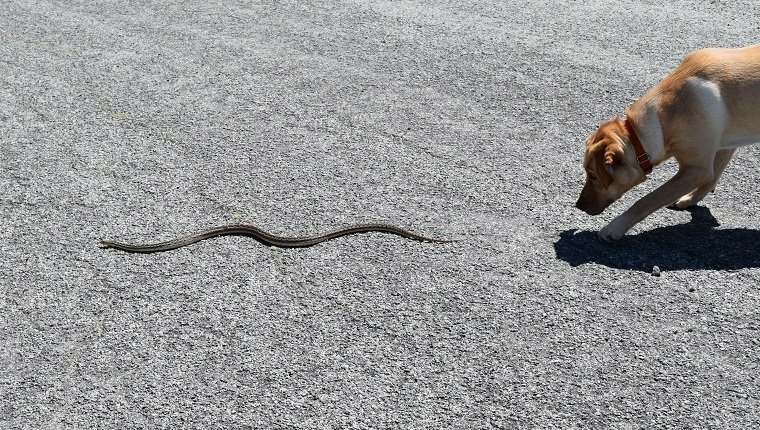 Snakes, scorpions, and spiders are fairly common in desert areas, and their bites and stings can be harmful or deadly to your dog. 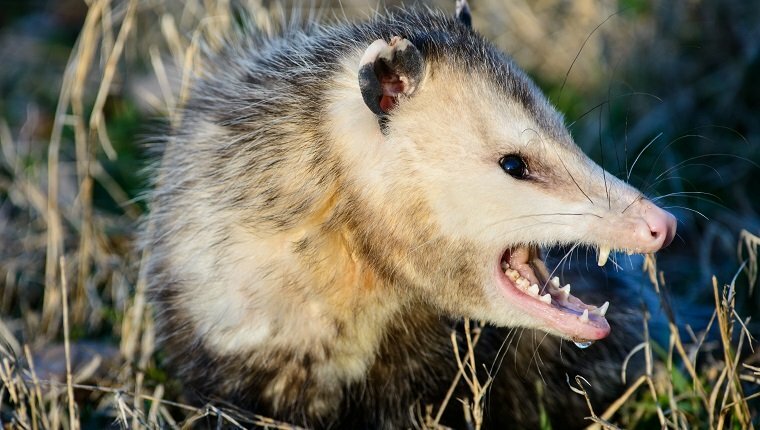 If you live in an area where these critters are common, it would be a good idea to train your dog specifically not to attack them. Stay on trails and avoid bushes, tall grass, or rocks that could provide shady areas where these creatures might hide. If you encounter one of these venomous animals on your walk, do not make sudden movements. Back away slowly or take a wide circle around it to avoid disturbing the creature. Keep a firm grip on your dog’s leash and keep them as calm as possible. 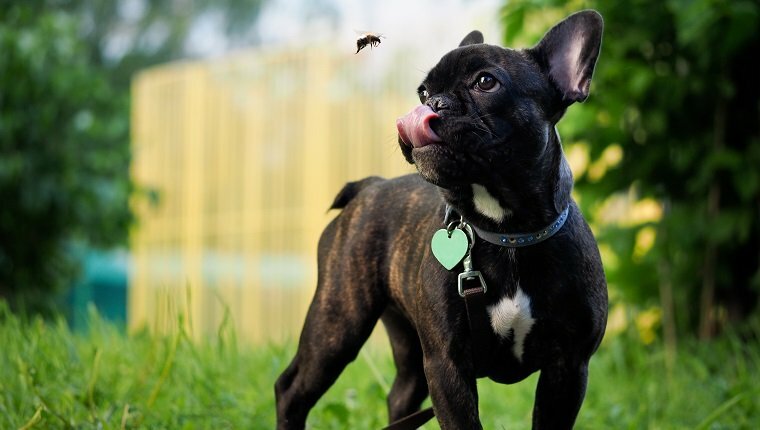 If your dog gets bitten or stung, get to a vet quickly. You can also call the pet poison hotline at 855-764-7661 if you’re in the United States. Bees are one of the many reasons to keep your ears open and pay attention while on your walks. The buzzing of a hive can usually be heard before you find yourself encountering a nest of angry insects. Bees are usually found where you’d expect them, namely near flowers and plants, as well as water sources like pools or bird baths. It’s a good idea to avoid these on your walk. A normal honeybee is unlikely to sting unless its hive is disturbed, though Africanized bees are more aggressive and tend to nest in places that European bees do not. If you hear the sound of buzzing, head in the opposite direction immediately. Avoid making loud noise or letting your dog bark. Perfume, dark clothing, and jewelry attract bees. If a swarm attacks you, run and find shelter immediately. Do not swat or crush bees, as they emit a scent that attracts more bees when they are killed. Running into the wind can slow them down and give you and your dog a chance to escape. Do not jump into water. Africanized bees will wait for you to come up for air and sting you again. The main thing to focus on is getting indoors and taking shelter. Once inside, remove any stingers that may still be in your skin or your dog’s skin and seek medical attention immediately. Coyotes can be found in desert areas, forests, and even urban areas as the cities expand into their natural habitats. 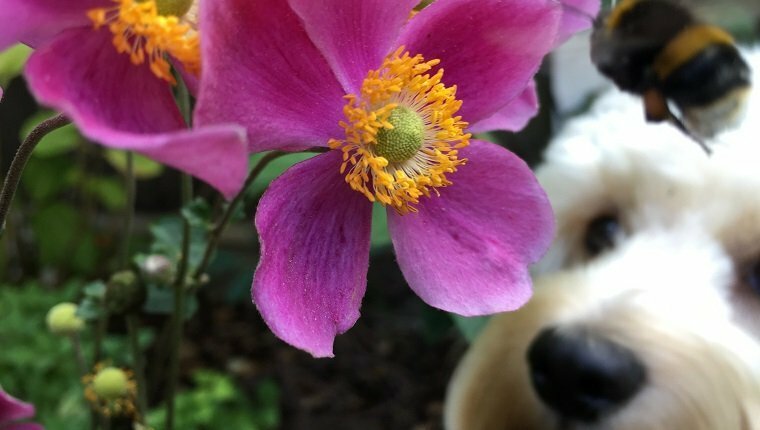 They can be especially dangerous for pets that are left outside in yards without supervision, and they’ve been known to climb fences to attack dogs, especially smaller ones. The best way to deal with a coyote that is following you and your dog on a walk is to make a lot of noise. Yelling and shouting tends to frighten them, and they will most likely run off. Some sources recommend carrying an air horn or other noise-making device for this purpose. 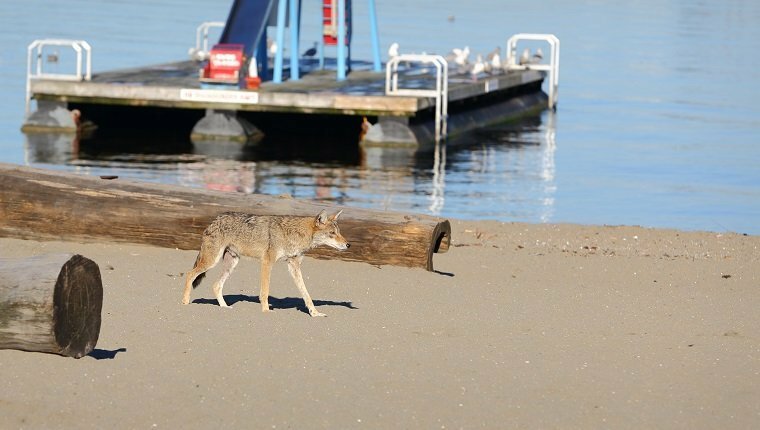 Coyotes may be more aggressive during breeding season if they feel their territory is threatened. This happens between January and March. If a coyote does not immediately back down, keep eye contact. Do not run away. Hold a jacket or backpack over your head and make yourself look as big as possible. Slowly back away and move out of the area. If a coyote seems ready to attack, throw rocks, sticks, or anything on hand at it while yelling. Try to throw dirt or sand at its eyes. Keep your dog on leash with a firm grip as you move away. If you live in an area where bears are common, you should put bells on your dog’s collar and frequently make noises to avoid surprising animals. 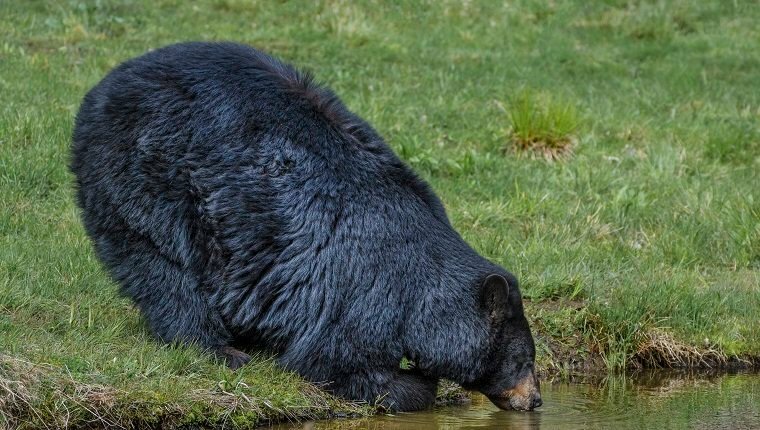 If you do happen to see a bear on your walk, quickly and quietly leave the area without running. Bears can run at 30 miles per hour and will easily catch you. If the bear has seen you, avoid sudden movements and keep your dog calm as you head in the opposite direction. If the bear’s behavior changes, speak in a low, calm voice to let it know you are human and move your arms. Should your encounter be at closer range, stand tall and make yourself look as big as possible while speaking in an assertive tone and backing away. If the bear moves towards you, wave your arms and make noise. 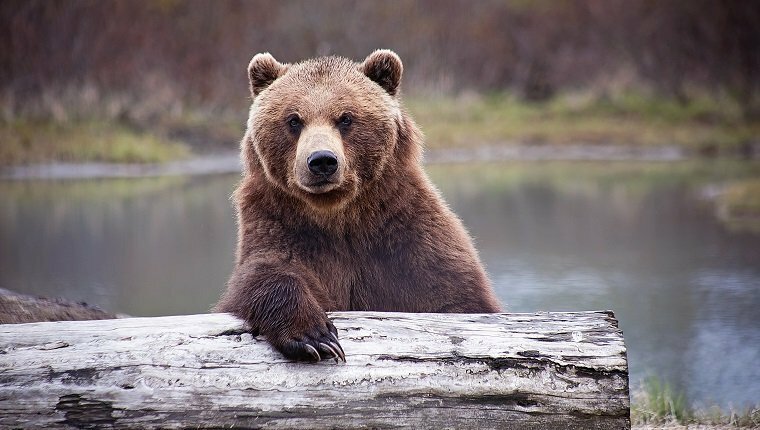 You can try throwing an object on the ground, as the bear may investigate and give you time to get away, but never throw food. Should you and your dog actually be attacked, your best chance is to have bear spray at the ready. Spray it at their nose, eyes, and face. Grizzlies may leave you alone if you play dead, but your dog is unlikely to play along. If you are attacked by a black bear, fight back and be as loud as possible. 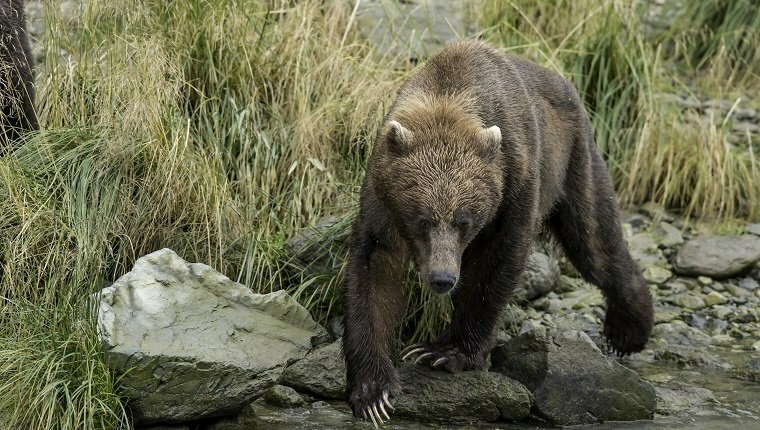 Walking through bear country makes bear spray a necessity, and you should always have it on you if you live in a place where bears are common. Mountain lions can be found in many parts of the United States, and many of those places have hiking trails where you may be walking your dog. Making noise is important in these areas, as most cougars will be scared off rather than face a confrontation. Bells on your dog’s collar can help, along with you making frequent yells or other loud sounds. If you see a wild cat, give it space to retreat. Do not run, and if possible, hold your dog so they do not run. Running can trigger a cat’s instinct to treat you as prey. Stand tall and make yourself look big by raising your arms or holding a jacket or backpack over your head. Talk loudly and firmly, and do not make eye contact as this can be seen as a challenge. Back away slowly. If you are attacked, you must fight back with any means necessary. Most sources recommend carrying a weapon in mountain lion country. If you do not have a weapon, use sticks, rocks, or whatever is on hand. Bear spray can also be effective. 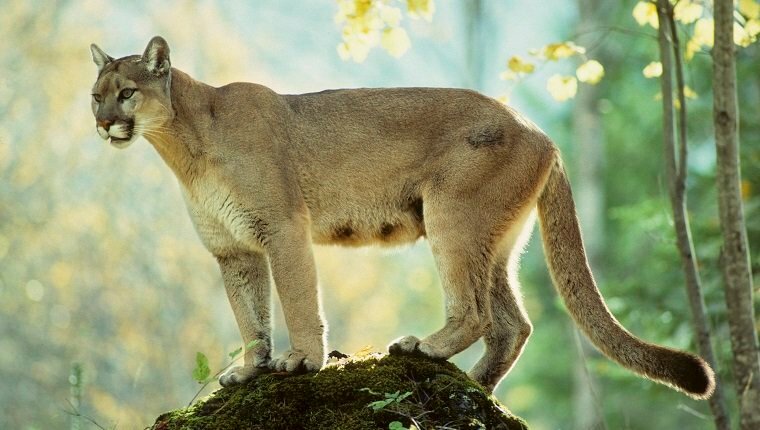 An attacking mountain lion has already decided that it will risk injury to eat you or your dog, and fighting back is your best chance at survival. Alligators are common in wetland areas and often prey on smaller animals like pets for a meal. If you are walking your dog in an area where alligators are known to live, it is important that you keep your dog on a short leash and stay at least 25 feet from the edge of any body of water, including ponds, man-made reservoirs, rivers, and lakes. 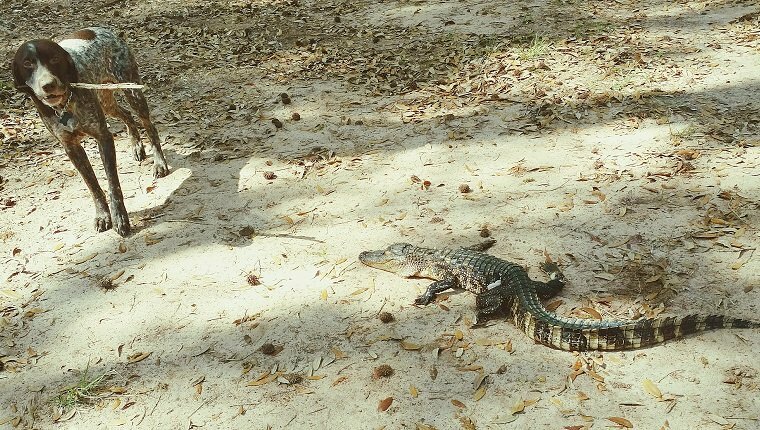 You should also be wary of paths that go between two water sources, as alligators can be moving over land between these areas. Alligator attacks are rare, though in mating season from May to June, they become more aggressive. They are also more likely to attack if they have a nest near by. 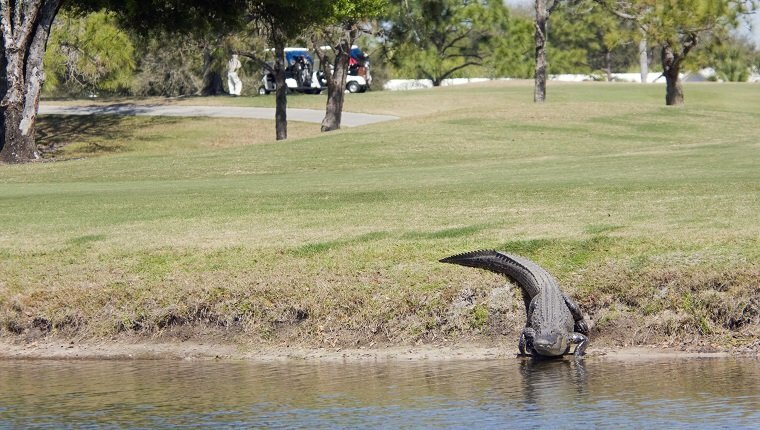 If an alligator charges at you or your dog, which is a rare occurrence, run. Alligators mostly hunt with short bursts of speed near the edge of the water. Having a weapon or pepper spray may help during an alligator attack, but it’s best to avoid the water. If your dog is bitten, see a vet immediately as it is likely to get infected. 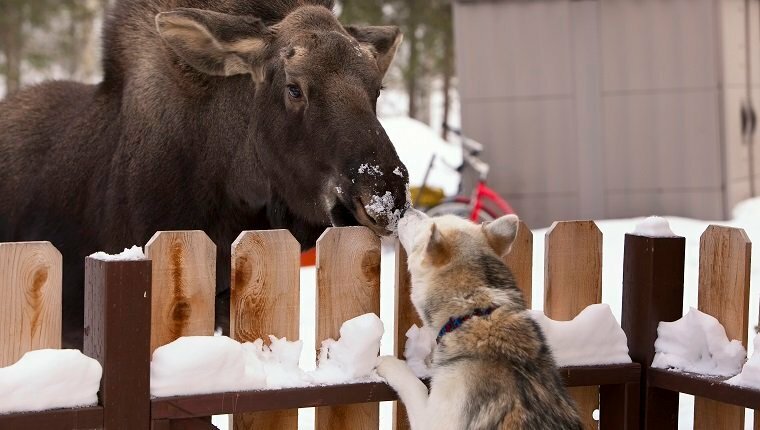 Moose see dogs as a threat and are often surprised when they bark or chase. Some of them will go out of their way to kick at dogs. 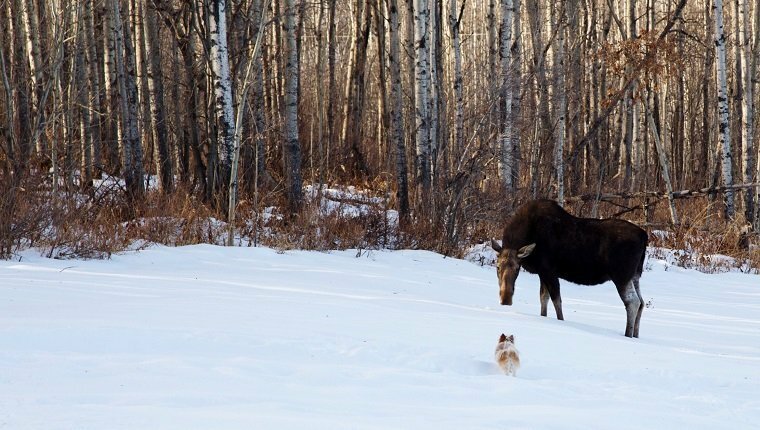 It is important if you ever see a moose to give them a wide berth and try to keep your dog calm so as not to disturb it. Keep your dog close so they don’t try to approach the moose. During September and October, bull moose may be more aggressive, as this is mating season, while in spring, the females may be more ready to attack in order to protect their young. A moose that approaches you is either looking for a food handout or warning you to back away. You should move back and try to find anything that you and your dog can duck behind to get out of view. A tree, a car, a building, or anything large enough to keep you out of sight will do. If a moose charges, run. They usually don’t chase for long. Again, find something to duck behind to get out of sight. What other dangerous animals do you see during your dog walks? What do you do to avoid conflicts? Let us know in the comments below!